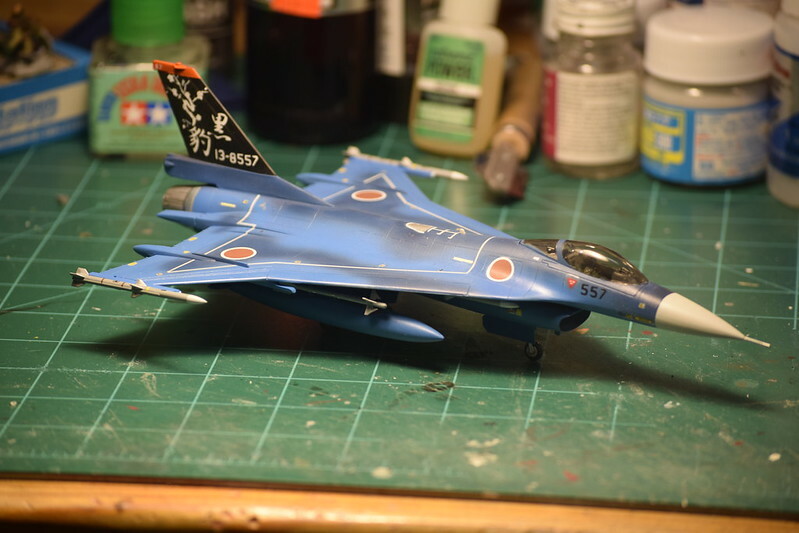 It's the venerable Monogram F-16XL kit done up as a JASDF F-2 variant. I've had this awful kit in the stash for a while and pulled it out for my local club's build day. After I got started, I just had to finish it. 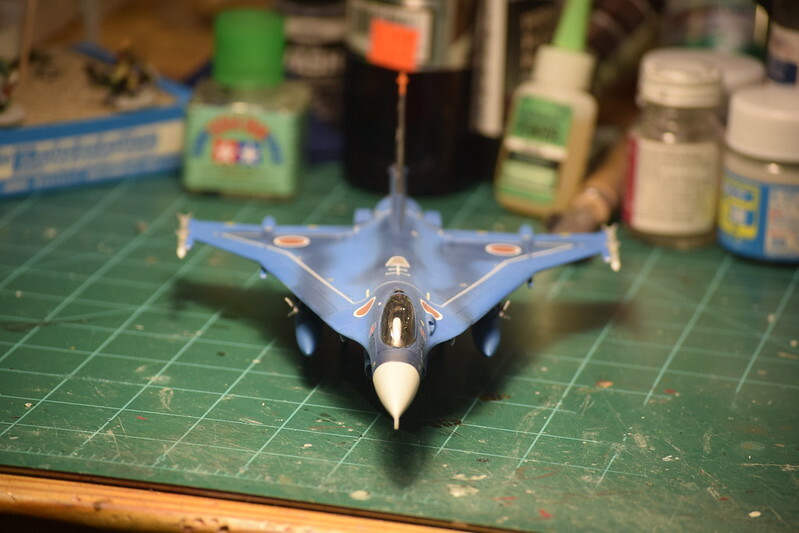 I've always liked the JASDF jets with their colorful schemes so I decided to do a what-if on this bird. The kit is not so good - the raised panel lines in particular were very frustrating and I decided not to rescribe or anything. Incidentally, I've been doing a lot of small scale figures lately, so I've gotten a lot better at them. The pilot and cockpit are the best I've ever done at this scale. Unfortunately, it has a tinted canopy... I also replaced the wingtip launchers and loaded it up with a bunch of AIM-120C's from an F-22 kit. Note that the tail is painted - it's not a decal. 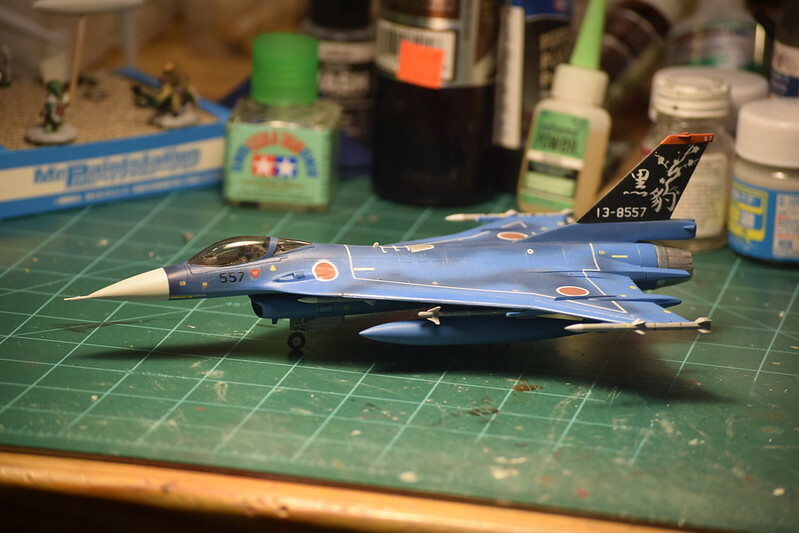 I used my Silhouette Portrait to cut a mask for it, sort of based on some actual JASDF F-2A tail art. The thing carries a ton of ordnance. I may actually add some Japanese anti-ship missiles to the 2 hardpoints that are currently empty. This isn't going to win any awards, but I had a lot of fun building it. Last edited by edsunder; November 22nd, 2017 at 09:14 AM. I remember building that kit when I was a kid (yea, it's that old), it was pretty good back then, how have times changed. 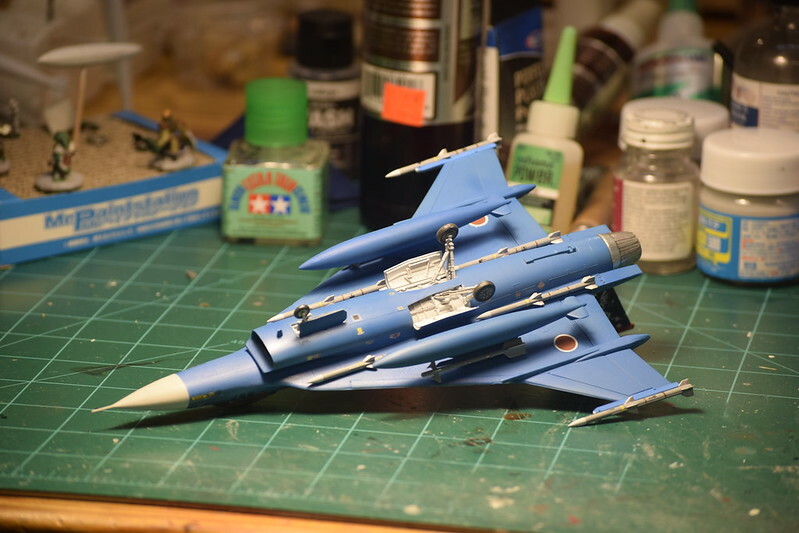 Nice build, great scheme and paint job.